Discussion in 'General Discussions and Intros' started by Skye Link UAV, Feb 15, 2018. 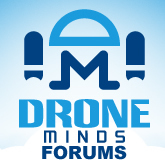 Skye Link is a community based, community driven marketplace about drones, regarding drones and for drones. Aside from being able to look for possible work, collaborations, event organizing and even information. An opportunity you must not pass up if you are associated with drones.